Articulation: R.N.s who have graduated from a state-approved and nationally-accredited associate degree nursing program will receive 41 nursing credits. 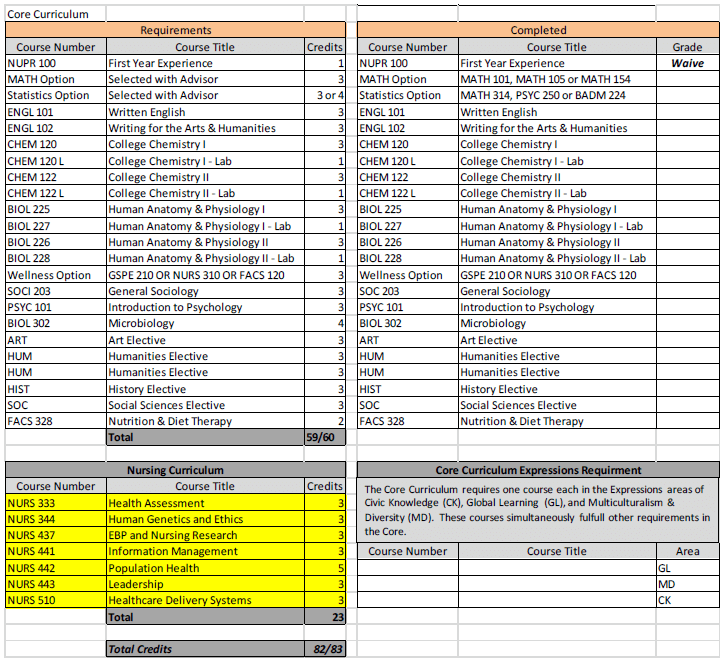 After completing NURS 442, students may be given credit for NURS 330, NURS 332, NURS 334, NURS 340, NURS 341, NURS 342, NURS 430, NURS 431, NURS 432, NURS 438, NURS 444, and NURS 445. Completion of NURS 510 waives the requirement of NURS 310. Part-time and full-time opportunities may be available.